3D print accessibility is the topic for this Wildcard Wednesday. 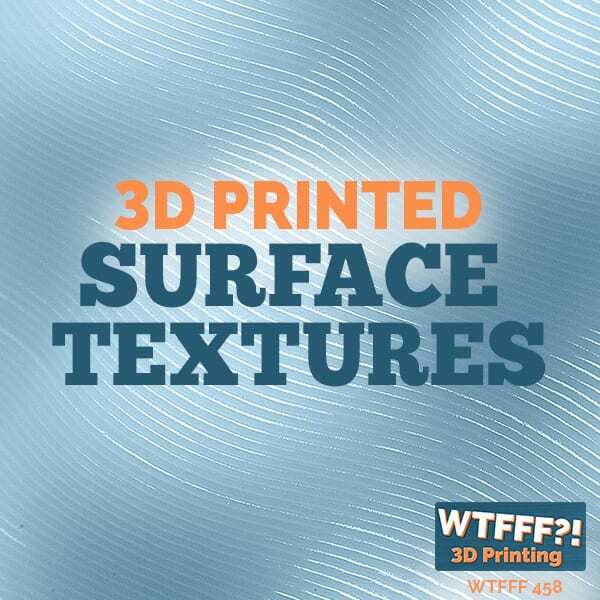 We have somebody who works with us who has come up with a couple of interesting pieces of information to share to everyone on how 3D printing is used in a different way. Texas A&M University has a very large population of students with disabilities. In the state of Texas, I read that they have some state laws in public universities that have to provide a certain amount of services. Today we are talking about services for the blind and how 3D printing is used to help them. The engineering department at Texas A&M University has been doing several things to help them and two projects are what we want to talk about today. One of which is that there is news that a freshman engineering student there created a small 3D printed Braille map of the campus of Texas A&M to help the blind navigate through the campus. I thought it was brilliant. It is probably not that logical to think, but he got the idea because there was actually Braille on the building so that they can feel the sign and know that they are on the right location. It got him the idea that someone has to show them and orient them on campus to begin with. Perhaps there is a way to do that. He did a cool thing where he was using a picture of the map, eyeballing it and drawing buildings, and someone had helped him figure out that he can scan it and put it on Solid Works himself. There was actually an easier way, so there was this collaborative project. The map is an inch thick and it is PLA. It has both a full dimensional view of the map so that you can feel the spaces and the shapes of the building. There are also Braille notations as to what the location is. It makes a lot of sense for the blind in particular, that they need something with three dimensions and that is how Braille works – to read letters, numbers, and more. But then to make a 3D relief of the campus map by raising the buildings, lowering the pathways, and things like that, so that they can understand how to get around and how to navigate. I think it probably has to go another level where it would be more useful. If there were notations like there is a set of stairs here, a sidewalk here, just like if you had in that sense some kind of landscape notation so that they would also know what they are feeling around with their cane, feet, or whatever it is, that it is there, then they are in the right place. When you have those location cues, the 3D print accessibility map would be way more useful. He is in the testing phase with it and he has a woman, Kaitlyn Kellermeyer, who is an economic senior and activist for people with visual impairment. She had never used a map before but she had found it very useful. That is an interesting thought that a blind person never used a map before. Now with 3D printing technology, no one would probably think of cut tooling on an injection mold and mold a 3D relief of a map for the campus and for the blind people, because it would be too expensive. Now, 3D printing has made this possible and that is what I love about it. It needs to head itself into, after the testing phase here, into a different type of map without our preconceived notions of seeing people and what they want in the map. It is a really interesting concept. There was a report a year ago, also out of Texas A&M, that they were 3D printing Braille at the top of medicine bottles and things like that. 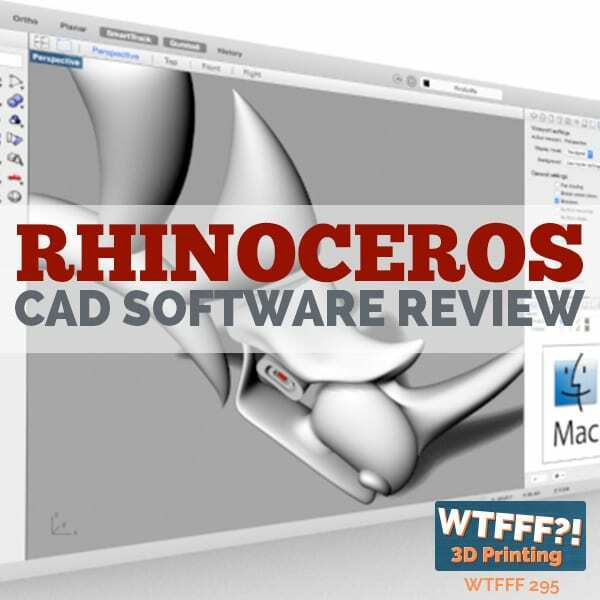 That is extremely useful and brilliant, as it shows a great use of 3D printing. It makes perfect sense because when you think about it, because you know that there are Braille typewriter kinds of things where it is a machine that is embossing thick paper with Braille characters for the blind to read. 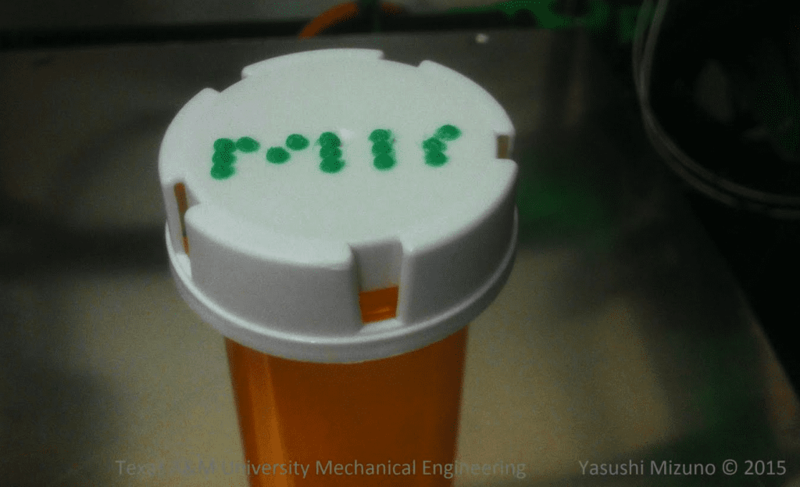 It is a brilliant idea to use a 3D printer to be able to print the Braille characters on top of the medicine bottle that you would get from the pharmacy. The reality is that I don’t know if that means that people that help care for the blind could each have a 3D printer and provide the service for them. Or if there are enough blind people in the world, a pharmacy can also be equipped with a 3D printer specifically for printing the name on top. It could even be more useful to more than just the blind. Drug issues are big mistakes as you get older and when your eye sight is failing as well. Not to expect them to learn or read Braille, but if you could print the name really large on top of it or say to take this two times a day or something like this, that may be very useful for drug mistakes within senior centers. With that, you can do both things and it will really make sense in a pharmacy level. What they did here at Texas A&M University is that they took a typical FFF 3D printer that had the capability to print ABS. It just so happened that the caps of the typical medicine bottles are molded in ABS so they can print to it and fuse it. This would be a great application for a very specific 3D printer that was made for medicine bottles. One spool would probably last you with thousands of medicine bottles. Putting them in color makes perfect sense for somebody who can see. On your medicine bottle, you need an X and Y platform size of about 40 millimeters by 40 millimeters at most. If you need it larger, you can just take the top off, or make a cap that snaps over the first cap. You can do that if you needed to write on more space. I like the idea of having a special application printer. You can make a small customizable 3D printer. The application to what you want to print makes the difference to what you want to buy. Here, why buy over featured? 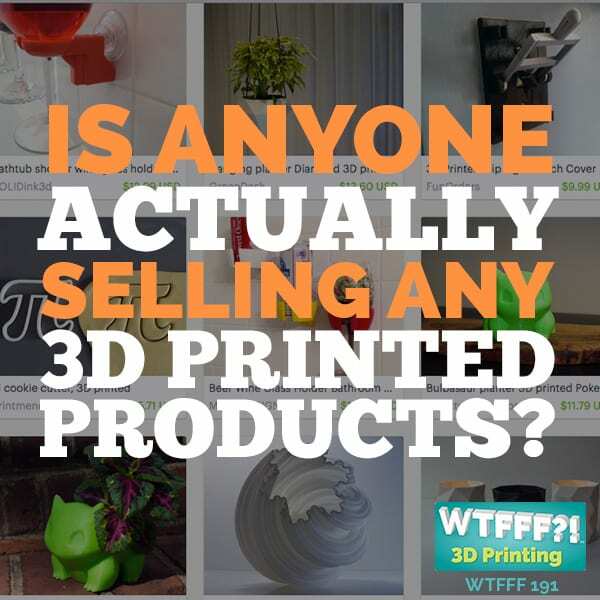 Some 3D printer manufacturers are going to catch on this idea and make an entire industry out of making very specific 3D printers that does one thing and does it very well. It might be like the van conversion industry that’s out in Elkhart, Indiana, where they take the main carcass of a van and they make something completely customized out of it, where they make a very good business. 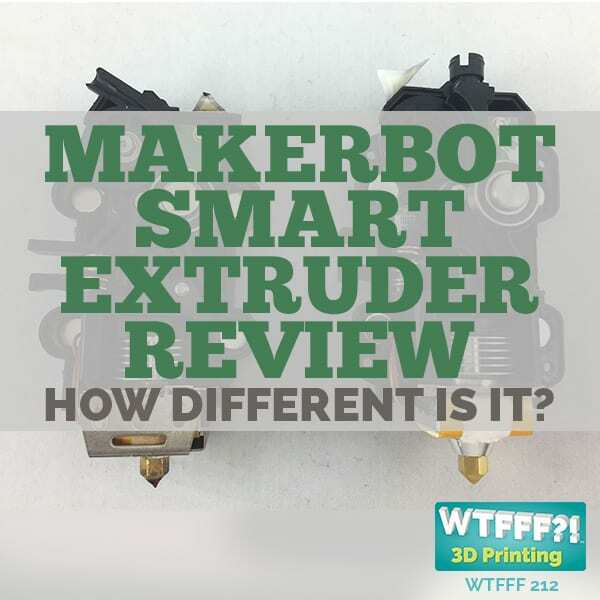 I can see this being very similar having all the typical RepRap 3D printer components and just making customized versions for small applications. It would be brilliant because it would be less expensive because you certainly don’t need as much material on a small application like this. We see that happen on the high end side of things. In some ways that is an easier business to get going because we think about the capital requirement of a smaller machine. Its got to be less than the big machines. We are talking about customizable machines, like from Titan Robotics, that are taking on 4 ft by 8 ft beds and had to produce gantries that would not allow flex or droop over that long distance. You are talking about some serious material in heavy motors in order to move heavy material over those distances. The things that they are into are amazing. To me this is the most “hit-me- over-the-head-with-a-sledge-hammer” kind of moments where I see that 3D printing has so much more to be used for this application for the blind. It is really the beauty of 3D printing as being able to have the minority of any kind of need or issues. Whether it is accessibility for those who are visually impaired or whether it is the people who lost a limb and were making something like the e-Nable prosthetic hands and arms or limbs for them. Whatever that is, it is really fantastic that 3D printing is helping that accessibility grow. That is just great and it is a great use of 3D printing. But I think it just bodes into the thinking everywhere. 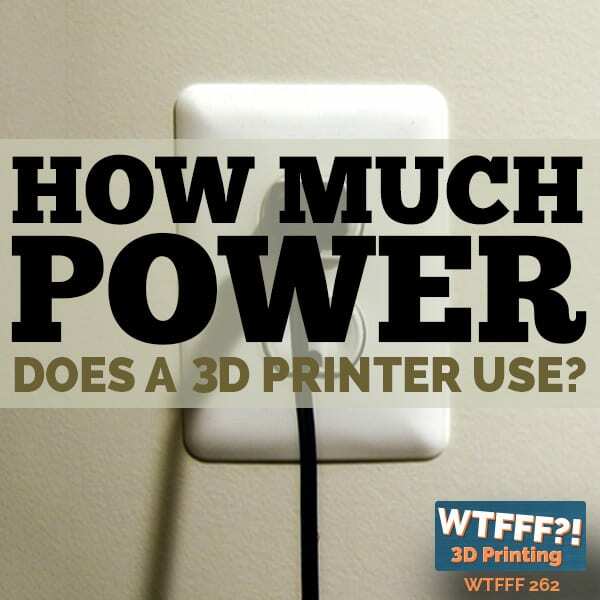 How can my business, my education system, and myself do something that is personal with the 3D printers at all times? That to me is the beauty of it – the unit of one. I really had my fill of making hundreds of thousands of something that is vanilla for mass retail just because mass retail is a risk of having to sell to everybody. I like the idea of the unit of one and making it to what it needs to be for that person. The idea that everything is made to order and you keep its essential elements, I can see that this is the ultimate of where I started my career and started working at Herman Miller. This is where we wanted to go, and we call it mass customization where we do the most custom thing at the very end of the process. We try to house components and other things that we know we can use across multiple things so you don’t have tons of inventory. The idea of making that absolutely possible and where 3D printing making that a reality just excites me to know, which is why we are excited to be a part of this market and in the industry. It is nice to see that it is being used in touching people in so many different and beneficial ways, such as 3D print accessibility. There has been a whole lot of light shined on the e-Nable organization, and rightfully so. There are many other lesser known good causes and needs out there that are benefiting from 3D print accessibility, and not getting much exposure. I am glad it is happening and it is good to know that some are going on. If you know of other worthy 3D print accessibility projects, especially if it is involved with people with disabilities or non profits or something that needs a little attention, we would love to know about it. If you are inspired by 3D print accessibility, to create something where you can just do something like this within your business, or if you got a small shop, and then all of a sudden you say, “Wow, I can provide a really customized service for my clients.” Then that is fantastic. Let us hear about that too. That is the one that excites me as well because I want to save as much as possible. I am thinking back when we lived back in Michigan, where we knew someone who owned a chain of 12 pharmacies. This was a local organization and this was not a Rite Aid or CVS or something. It was a completely local Michigan family owned small chain of pharmacies. I can imagine that chain having at least one of their locations to serve blind people of their 12 locations. I can see them go to this extent today. This is a level of service that I can see if they would like to provide a high level of service if they knew that they had a certain number of blind customers, where they would be doing themselves a favor in reducing their liability, to make sure that the blind people can read on the interaction warnings or which drugs is to be taken. It would also provide a better service experience for their customers. At a local level, a mainstream type of business and things like this could set you apart and make you a hero in your community. We would love to hear about these hero type and 3D print accessibility projects, whether they are in main stream, or in schools, or everywhere. It would be great to hear about them, so leave a comment below! Howdy! I have a blind student entering my program. We started two weeks ago and would love to get a 3d map for her. How can I help her receive one? Or purchase one?